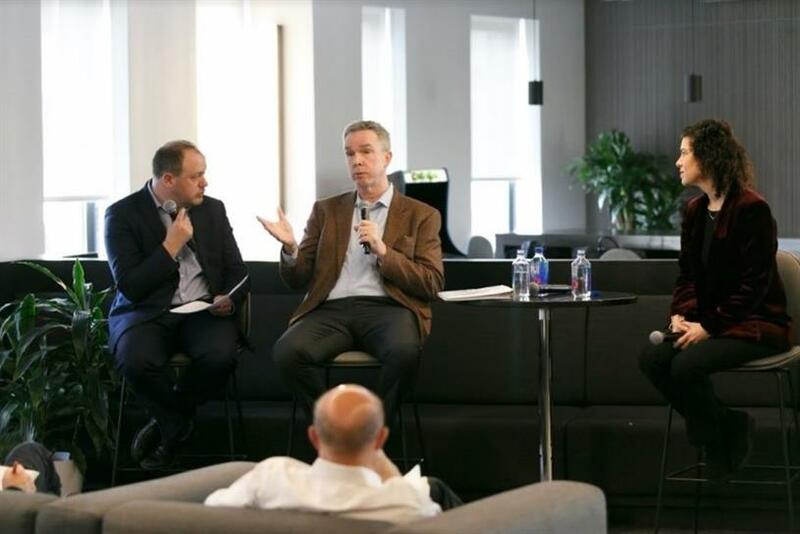 They clashed on the future of advertising and the agency landscape at Campaign US' Breakfast Briefing. Two of advertising’s most important titans went head-to-head to debate in-housing and the future of agencies. Marla Kaplowitz, president and CEO of the 4A’s, clashed with Bill Duggan, group executive vice president at Association of National Advertisers (ANA), during Campaign US’ Breakfast Briefing, in partnership with Wunderman, at Vox Media in New York City on Tuesday. "In-housing comes back to a business decision," Kaplowitz said. "Think about what was going on in the world of media and marketing ten years ago. It has changed tremendously. There are more and more people doing the work today than ever before. Everyone is looking to take more control because of the complexity. "Businesses are evolving quickly, as are agencies -- and I don’t think agencies get enough credit for how they are evolving and the changes that are happening there." The debate comes hot on the heels of an ANA report that revealed nearly 80 percent of its members have some form of in-house agency. The study found that the number has grown substantially over the past five years, with rapid increase in 2018. This is compared to 58 percent of marketers who took some form of advertising in-house in 2013, and 42 percent in 2008 -- the last two times the survey was conducted. Duggan said the findings "weren’t a huge surprise," pointing to major client/agency trust issues as the key driver for this increase. "The reasons for in-housing historically have been cheaper and faster, and nothing has changed," he said. "Two recent trends that have accelerated in-house agency: transparency/trust and data. "I believe trust between clients and agencies is at the lowest it's ever been throughout my career." Asked if agencies in their current form are as important as they used to be to brands, Duggan replied: "No," adding: "When I started my career, the agency was the most important external client. I believe that agencies are not as important as they used to me mainly because of fragmentation and now competition from consultants and others." His points are at wild contradiction with Kaplowitz's beliefs. She argued: "I think it's a convenient narrative to keep bringing up transparency and trust and painting with a broad brush." The CEO stressed it is industry speculation that creates mistrust, highlighting recent news of the closure of a lengthy U.S. Justice Department investigation into suspected manipulation of the bidding process for production work that concluded with five major holding companies being cleared of any wrongdoing. "We are filled with the land of the blurr," Kaplowitz continued. "Everyone’s trying to grow their business, so we have the whispers out there, we’ve got consultants and systems integrators all saying ‘we can do it better.’ And who are they pointing the finger at? Agencies. "Agencies need to, quite frankly, step it up and talk about the positive impact they make and the positive business solutions they deliver. Let’s shift the dialogue." She called on industry seniors to think about future talent and the type of headlines they should be reading right now: stories of creative celebration and business-building solutions on the forefront of innovation and technology -- not bleak reports around the opaqueness around the digital supply chain. Kaplowitz added: "I think there's tremendous value in what agencies bring because of the complexities that exist today. Agencies are more important and needed than ever to help guide and give that perspective of what’s next and what’s coming. We don’t celebrate enough of those stories."